As Caternet launches its new report Ending seasonal overspend in hospitality we highlight what we’ve learned and answer ‘why now?’. The tools that power the Caternet platform were designed by ex-operators, buyers and chefs. This knowledge will always be a small part of the story compared with the continual stream of feedback we gain from our industry partners. This year the trends in our conversations with you have noticeably changed. The hospitality, retail outlets and suppliers we speak with tell us 2018 has brought new problems in the fight to remain profitable. In gathering the most recent data from industry’s trusted sources and genuine anecdotal evidence, our report identifies a key difference in this year’s seasonal pressures. We also illustrate in pounds and pence why restaurants may wish to keep one pudding off the regular menu and limit production to the specials board. Amongst the persistent press coverage of site closures and job losses it was a figure found in the ONS report “Family spending in the UK: financial year ending 2017” that surprised us. Households remain willing to spend £50.10 each week on [out-of-home] hospitality goods and services. That’s up from £45.10 the previous year and translates to an industry commanding 9% of consumer spending. Whether you’re a chef, kitchen manager or head office administrator, we’re sure you’ll recognise the increasing squeeze on your finances and the importance of protecting profits through strict budget and stock control. Yet whilst many operators have for years, linked EPoS and financial reporting software, our team on the ground still finds many sites unaware of software tools that will unite the entire procurement, stock management and reporting processes. We highlight the opportunities where technology can limit and disrupt the risk of overspend in the hospitality and catering trades. 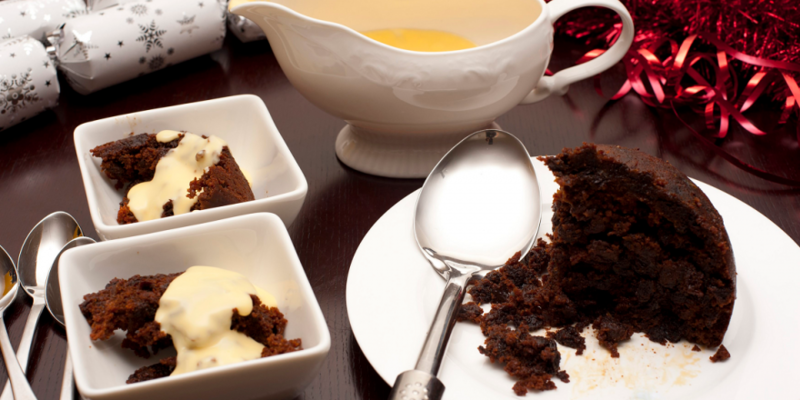 Christmas pudding with brandy sauce by freefoodphotos.com is licensed under a Creative Commons Attribution 3.0 Unported License.